From the time the first Marines set foot in Vietnam in 1965 to the day the last troops left on March 29, 1973, the Vietnam War was devastating. (Unfortunately, the Marine landings in 1965 were not the beginning of our involvement in Vietnam, which goes back at least to 1959. Many of us served in the theater prior to 1965. ed.) Guerrilla warfare tactics, disease, dangerous animals, the elements, and other dangers took 58,220 lives, with 47,434 of those dying in battle. Later, weapons like Agent Orange would prove to be silent killers, taking the lives of veterans after they returned home. In 2017, Congress passed legislation that was signed by the President, designating March 29 of each year as National Vietnam War Veterans Day, a time set aside for the nation to continue showing its gratitude for 2.7 million U.S. service members who served in Vietnam and to remember those who did not come home. So, on March 29, on the anniversary of the last U.S. ground troops leaving for home, we celebrated National Vietnam War Veterans Day to honor all those who sacrificed, fought, bled, and died in the service of their country. We are grateful for them and for their service, and we, as a nation, give our thanks to all who served. 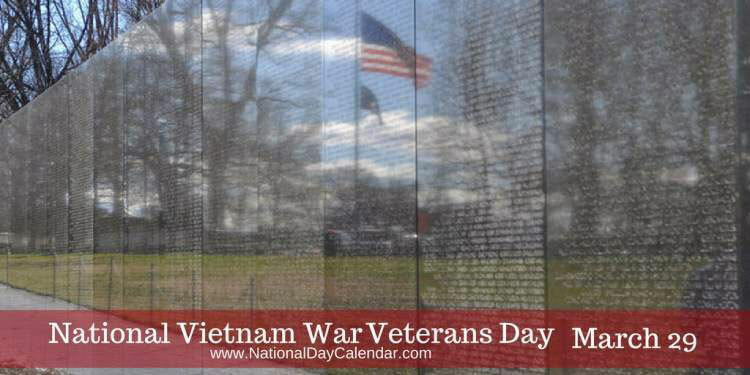 National Vietnam War Veterans Day on March 29 honors the men and women who served and sacrificed during the longest conflict in United States history. Involving five U.S. presidents, and over five million American service men & women, it left an indelible mark on the American psyche. 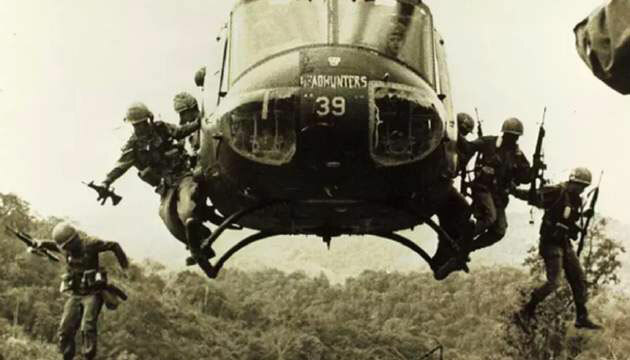 On March 29, 1973, combat and combat support units withdrew from South Vietnam. Generations later, Veterans of this time period are gaining the respect that was not so freely given upon their return. There were 58,000 killed, never to return. National Vietnam War Veterans Day recognizes the military service of the men and women who answered the call to serve their country. U.S. Sens. Pat Toomey, R-Pa., and Joe Donnelly, D-Ind., introduced legislation in 2017 to honor Vietnam Veterans with a day on the anniversary of the withdrawal of military units from South Vietnam.